Like a string of pearls, Coline's watercolor pattern appears as if flowers have been threaded on fine twine. The allover design appears playful and light and the color gradient makes this design seem delicate. Choose coordinated solid colored Satin Noblesse flat and fitted sheets. Like a string of pearls, Coline's watercolor pattern appears as if flowers have been threaded on fine twine. The allover design appears playful and light and the color gradient makes this design seem delicate. Choose coordinated solid colored Satin Noblesse flat and fitted sheets. 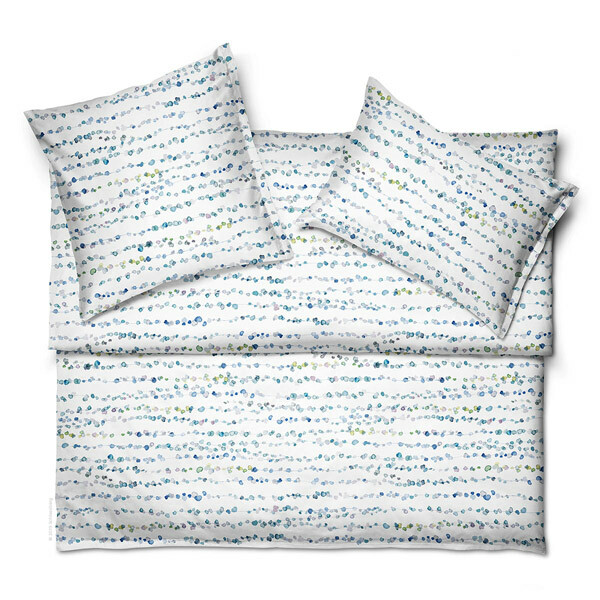 100% extra long staple cotton 1 colorway Duvet covers and shams: knife-edge; zipper closure This is a custom collection. Allow 6 to 8 weeks delivery. Machine wash and tumble dry low. See product label for exact care instructions.